How to Create a Motif? Are you interested in learning how to create a motif? Well, in this article we are going to walk you through step-by-step how to set one up. Let's first cover the background of a Motif then we will dive into how to go about creating one. How to invest in a motif that is already created? What are the drawbacks of motif investing? The name alone makes you wonder if it has anything to do with investing. If you do a search for the definition on the internet, from a musical perspective, a motif is "a short succession of notes producing a single impression." While this is related to music, there are significant ties to investing; in that, a motif is a basket of securities that an investor can group to create the financial security of their choice. Technically speaking, motif investing is defined as a financial product which allows investors to select up to 30 stocks and/or ETFs. Most investors are familiar with ETFs (exchange-traded funds). While ETFs allow you to gain exposure to a broad market, you are forever tied to the benchmark. For example, if an investor bought a few shares in the SPDR S&P500 ETF trust, the investor does not control which stocks move in and out of the index. As a motif investor, you have the ability to control which stocks are included in your Motif. It's like fantasy football for investing. This will allow you to diversify your portfolio and without having to manage 10 or more positions. You will also save money by skipping out on all the commissions you would spend to manage so many positions. Motif investing is new and is part of the fintech wave that has been sweeping the financial industry. Motif investing takes retail investing to a whole new level by combining the power of basket trading. With motif investing, investors can create laser-targeted groups of securities that one wouldn't find in the ETF world. For example, you could create a motif that tracks select international markets and so on. It is not surprising therefore that within just a few years of its inception, motif investing has become quite popular. As an investor, you will need to determine if you are going to be an active or passive investor. The benefits of creating a motif diminish with the more trades you place. This is because the purpose of the motif is to provide you with a basket of securities that work together in a pool. If you are constantly adding and removing stocks from the pool, you will likely make a misstep that will lead to unnecessary losses. Of course, it's up to you, but if you are going to start moving in and out of stocks, you need to just trade stocks. In terms of commissions or other fees, investors have to pay a flat commission of just $9.95 per motif and a fee of $4.95 for adding to existing positions. Again, based on my earlier point in the post, the fewer changes you make, the lower the fees you will encounter for the year. Motifs do not have fees normally associated with ETFs such as annual fees or management fees. This is another benefit of motifs in that the carrying costs are lower than the best ETF. Creating a motif is simple. The minimum deposit is $250 to open an account and $2000 is required if you want to trade on margin. There are a few things to bear in mind when creating a motif. The following steps show how you can build your very first motif. Remember that you can create up to 250 motifs, free of cost. You only pay when you buy the motif. This is a cost-effective way to trade. For example, if you created a motif with 30 stocks, it costs you just $9.95 to invest in the motif. This is a lot cheaper compared to purchasing 30 stocks individually. For beginners, it is best to invest in an existing motif as it takes the guesswork out of the equation and also you have some historical performance data to fall back upon. First, you will need to navigate to motif.com to create your first basket of securities. Once your account has been created, the first step is to go to your dashboard and click on ‘Build a Motif’ as shown in the image below. You don’t need to fund your account at this stage. From here, you can click on build a motif and proceed to the next step - Create a Motif. You also have the option to explore existing motifs as well or trade stocks or ETFs directly. Here, you can give your new Motif a name and also put in some description. While the name is mandatory, you can skip adding the description or adding an image to your motif (as long as it is a private motif for your use only). If you have any intentions of making your Motif public, the image and description are essential. Also remember that once you give a name to your motif you will not be able to change it at a later stage, especially if it is public. When you make your motif public, it becomes open to discussions and other investors can leave their opinions. Therefore, if you are not comfortable with being critiqued it is best to keep your motif private. In the above picture you can see a sample Motif being created. The performance graph on the right side is just a placeholder graph which is updated once you start adding stocks or ETFs to your motif, which brings us to the next step. In the next step, you can add stocks or ETFs to your motif. There are two ways to go about doing this. In the first option you can add the stocks individually. This option is ideal if you have already done your research and have a ready list of stocks that you want to add. The second option is to search for stocks by investment ideas. You can enter the theme such as airline stocks, or mining stocks or financials and so on and you will be presented with a big list of stocks and ETFs that you want to add to your motif. The above picture shows you a sample search done using the keywords investment, financials, brokerage and banking. You can then go through the list and ‘uncheck’ the stocks that you don’t want until you reach the limit of 30. Remember that a motif can have no more than 30 stocks or ETFs but you can have fewer holdings in your motif if you want to. If you wish to add new stocks or ETFs to your motif, then you pay an additional $4.95. Therefore it is best to select the stocks before hand while creating your motif. Remember than weightage plays an important role within the motif as it assigns the weightage to each of the stocks or ETFs selected. While the weightage strategy of market cap, equal distribution and relevance are straightforward to understand, the custom weightage strategy allows for more flexibility for the investor. The above picture shows the motif weightage strategy based on the custom settings. Here you can assign your own custom weightage to each of the stocks or ETFs in the motif. As mentioned earlier, the stock weightage is an important factor as it can affect the overall performance of the motif. However you can check how well the motif would have performed historically by looking at the performance chart shown earlier. Investors should however be reminded that past performance is no guarantee of future returns. Before publishing you can also check on the motif parameters such as the dividend yield, returns and so on. Once you have updated the motif you assigned the weightage, you can then proceed to save or publish your motif. After you publish your motif you won’t be able to view the historical data as the motif is live and you can now track it in real time. 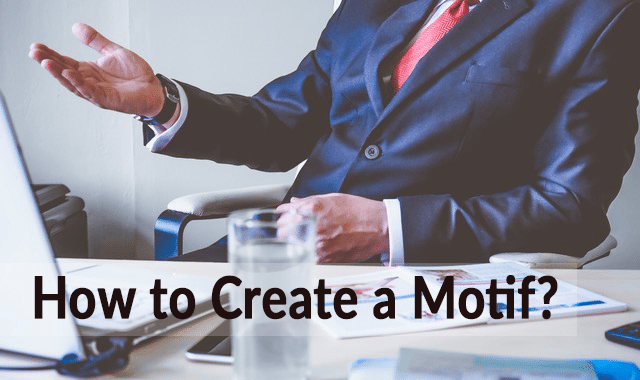 If you want to invest in another motif that is publicly available, you can click on explore motifs options and run a detailed search including category, returns, theme and so on. You also get to see some of the most trending motifs. Investors can now choose to either directly buy the motif or to customize the motif. For this second option you need to select the ‘Customize Motif’ option from where you can add and delete the stocks that are listed. Motif investing might seem exciting the first time you hear about it, especially terms such as themed investing and so on. Secondly, motif investing is relatively cheaper as you can trade up to 30 stocks for just $9.95. However, motif investing has some drawbacks that investor need to be aware of. For starters, motif is often closely compared to an ETF. Thus it is best to start with the drawback that with motif investing, dividends cannot be automatically reinvested. Therefore, investors need to manually reinvest the dividends. This manual reinvestment comes with an additional fee of $9.95. Furthermore, when you are customizing an existing motif, or customizing your own there is a fee of $4.95. The concept of creating your own motif can be quite tempting, but investors should remember that not all motifs can perform well and selecting the right combination of stocks and ETFs and assigning the right weightage is a skill in itself. While investors can get carried away with the flexibility of creating their own themed version of an ETF the fact remains that you can quickly lose money with your motif if you end up picking the wrong basket of stocks or ETFs. Despite the short comings, motif investing, as a financial technology disruptor has brought the concept of active investing to the general investing community. Investors who wanted the flexibility of creating their own portfolio of stocks are now able to create their own motifs and invest accordingly. Investors who jump into motif investing without a clue of how motif investing works and the fees associated with it can quickly set themselves up for higher brokerage fees and even worse, building a risky portfolio. Therefore, before creating your motif, it is advisable to first come up with a short list of stocks. This should also include any fundamental analysis for the basket of stocks or ETFs as well as taking into consideration the aspect of weightage for the stocks listed as well. Building a motif when you are well prepared with the list of stocks can help you to keep the costs to the bare minimum while maximizing your portfolio returns as well. However, if you are stuck for ideas, start by looking investing in one of the existing motifs. In conclusion, as with all financial products investors should be cautious and only take informed decisions when it comes to motif investing. Because of the flexibility to create your own themed investing idea, investors can easily get carried away without knowing the obvious mistakes they are making, until after they invest. There is a reason why other investment products such as ETFs and mutual funds charge additional fees and it is for actively managing the pool of holdings in these funds. Therefore, investors should be very careful when designing their own motifs. Having said that, motif investing is no doubt the next step in the evolution of financial investing and with the right knowledge, skills and mindset, investors can look at making significant returns with the flexibility provided by motif investing.